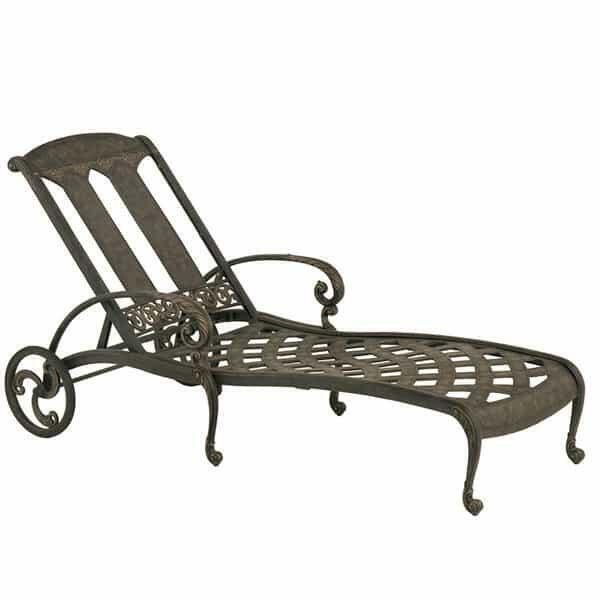 Whether your are relaxing by the pool or just soaking up some sun on the back patio, the St. Moritz chaise lounge is one piece of outdoor furniture that commands attention. Made of 100% solid cast aluminum, it will stand the test of time and be an investment that will bring years of comfort and enjoyment. Part of an entire collection from Hanamint, there are matching pieces from dining to deep seating and everything in between. With wheels on the back and an easily removed cushion, it is very veratile and can be moved with ease. 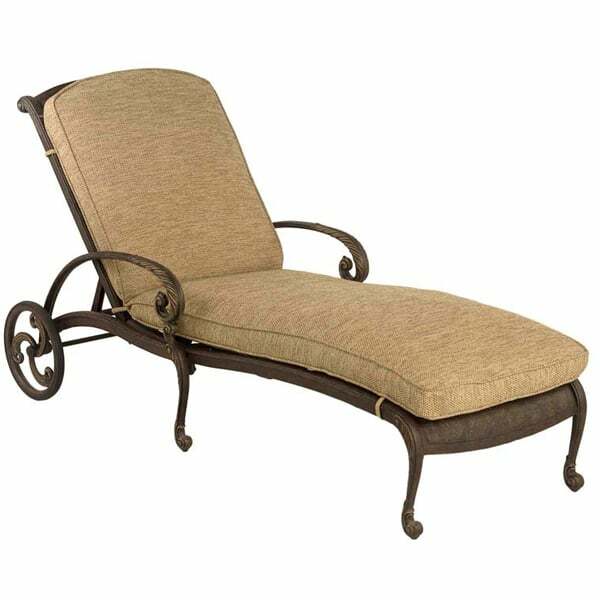 As you are laying one the St. Moritz chaise lounge your arms rest nicely on the raised arms of the frame and you can adjust the back angle to your exact liking. Although it can be used with or without a cushion, if you decide to use a cushion there are a number of different Sunbrella fabrics to choose from. Finish is Golden Bronze, a Hanamint exclusive.